Complete Recording System (Turn-Key): Recommended for the majority of end users, as the best and easiest option. Call Recording DIY Kit: Recommended for resellers and for technically savvy end users who can provision their own PC server. Recording kit buyers must take into account the amount of effort, possible compatibility and integration issues, and potential costs of building the recorder on their own. 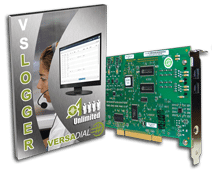 Software Subscription/1 Year Term License: Recommended for installations involving 30 channels or greater OR customers who prefer the convenience of a small yearly operating expense vs. a large upfront capital expenditure. Software Maintenance Plan	 Included in first year. Optional each year thereafter with additional fee	 Included in first year. 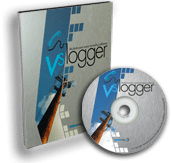 Components	 VSLogger Recorder, Adutante Server Software, (optional) Voice Recording Boards, Installed and Configured on Industrial Strength PC	 VSLogger Recorder, Adutante Server Software, (optional) Voice Recording Boards	 VSLogger Recorder, Adutante Server Software, provided in a Complete System or a DIY Kit format. Hardware purchased separately from subscription.